“Long before the devastating earthquake hit Haiti in 2010, the island nation was beset by a laundry list of environmental woes, ranging from deforestation to a lack of clean water. Satellite images reveal the countryside is devoid of lush vegetation. After a rainstorm, Haiti appears to ooze into the Caribbean Sea, due to the lack of plant life to prevent soil erosion. When disaster struck five years ago, the situation worsened. The earthquake displaced 1.5 million inhabitants from their homes, giving rise to improvised settlements without access to clean water or sanitation and, consequently, a public health disaster. 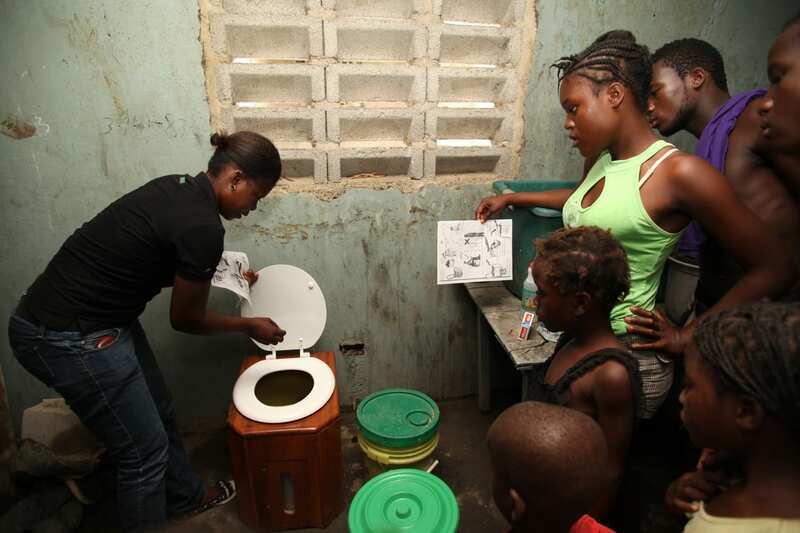 Unlike affluent industrialized countries, Haitians can’t flush and forget. The vast majority of the population lacks access to a working toilet. SOIL (Sustainable Organic Integrated Livelihoods), a nonprofit organization founded in 2006, joined the humanitarian effort to avert a health crisis by working to provide sanitation solutions. Adequate sanitation is a fundamental right, believes Sasha Kramer, SOIL’s executive director. ‘When you have a toilet, you completely take it for granted. It’s when you don’t have access to one and need one that you understand how important toilets are to human dignity,’ says Kramer.” -Enrique Gili, Deutsche Welle, June 6, 2015. Read the full article here. No Replies to "DW: "Starting a poop to compost movement""